A terracotta warriors of the Qin Dynasty (221-207 B.C. ), housed in the Palace Museum. The Palace Museum was developed from the imperial palace of Ming (1368-1644) and Qing (1636-1912) dynasties. It is the world’s largest and best-preserved ancient architectural complex. As of the end of 2016, the Palace Museum housed nearly 1.9 million items in its collection, of which rare cultural relics account for 42 percent of all those housed in Chinese museums. Of all the museums in the world, it holds the most relics and welcomes the greatest number of visitors. Bronze works from the Shang (1600-1046 B.C.) and Zhou (1046-256 B.C.) 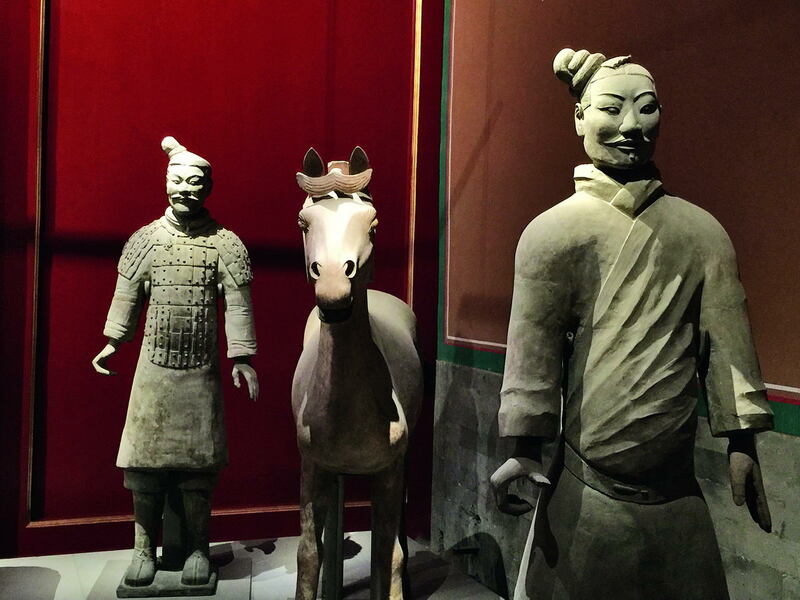 dynasties, terracotta warriors from the Qin Dynasty (221-207 B.C. ), bamboo slips from the Han Dynasty (202 B.C.-220 A.D.), tri-color glazed porcelain from the Tang Dynasty (618-907), ceramics from the Song Dynasty (960-1279), furniture from the Ming Dynasty and garments from the Qing Dynasty can all be found in the Palace Museum. In this book, author Zhu Yong analyzes the most emblematic items from each era and outlines the life of 18 valuable exhibits with stellar prose. Together, all of these objects form the art history of the Palace Museum, preserving the beauty of Chinese cultural heritage. The book also includes nearly 100 high-quality pictures of relics housed in the Palace Museum and museums around the world. 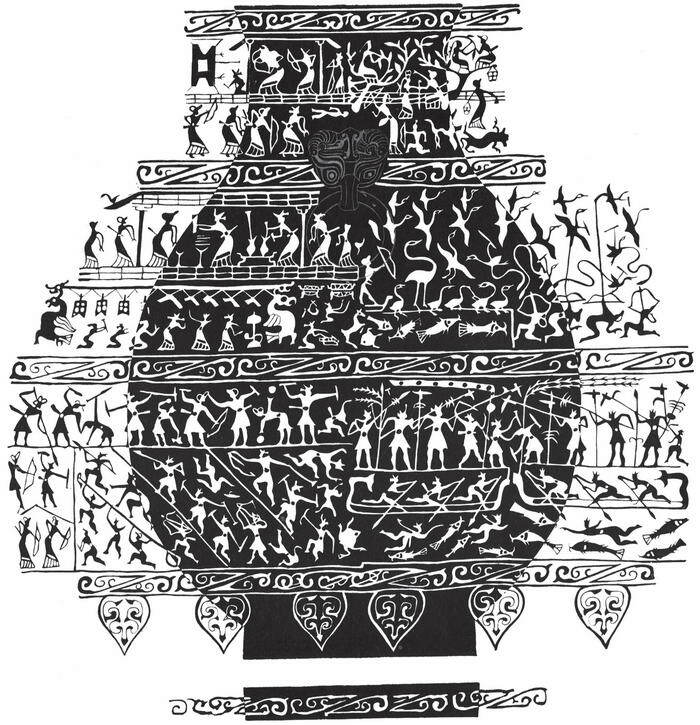 A drawing of patterns on a bottle dating back to the Warring States Period (475-221 B.C. ), housed in the Palace Museum. The patterns show activities such as fishing, hunting, and banqueting. 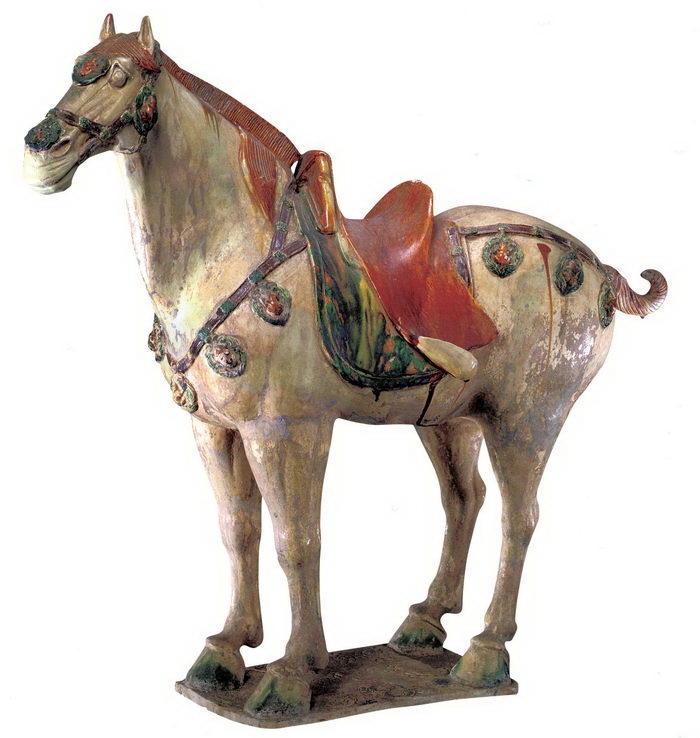 A tri-color glazed porcelain horse of the Tang Dynasty (618-907), housed in the Palace Museum. Why does the author refer to these items as “ancient things” rather than “cultural relics”? According to him, he wanted to emphasize the icons of each time. In the preface penned by the author that is titled Gravels of the Forbidden City, he wrote, “Every ancient thing demonstrates the strength of history and time.” Indeed, every dynasty has its unique character, and the “ancient things” in the author’s description reflect the cultural spirit of those dynasties. 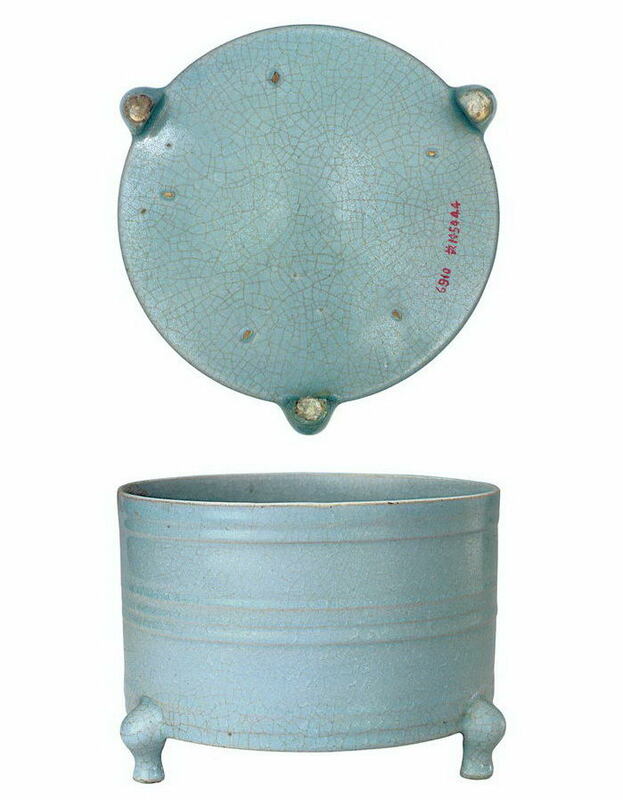 A porcelain ware from the Ru Kiln in the Northern Song Dynasty (960-1127), housed in the Palace Museum. Writer Feng Jicai once declared that Zhu was obsessed with China’s past culture and regarded it as an integral part of his spirit. History, normal everyday life, national character, aesthetic genes and marks of sensibility are all melted in it. All of these come possible because of his love of Chinese culture. Zhu Yong, born in 1968, is a renowned contemporary author and scholar as well as director of the Institute of Films and Televisions of the Palace Museum. He formerly worked as a resident artist at the University of California, Berkeley. He published the historical novel The Bloody Imperial Court and the historical prose collection Secret Corners in the Forbidden City. 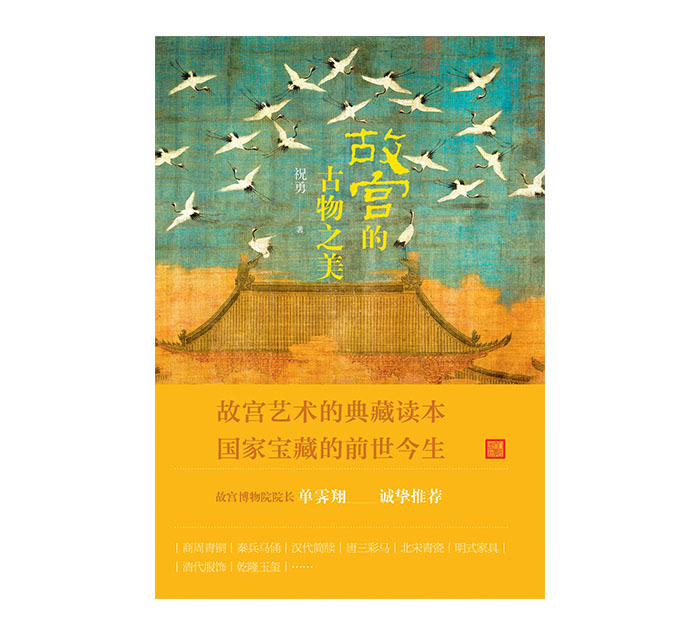 A total of 12 volumes of Zhu Yong’s Selected Works have also been published. He created several major documentaries and has won many awards. 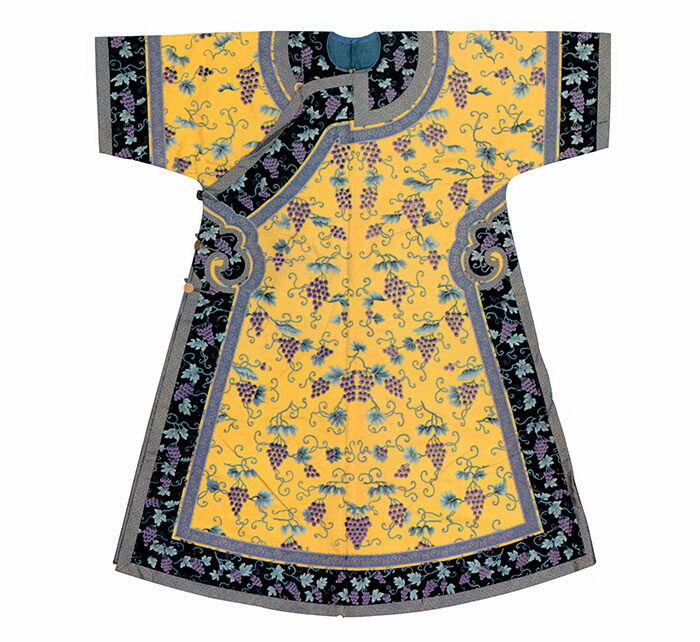 A cloak that used to be worn by a queen or empress on informal occasions in the Qing Dynasty (1644-1911), housed in the Palace Museum. 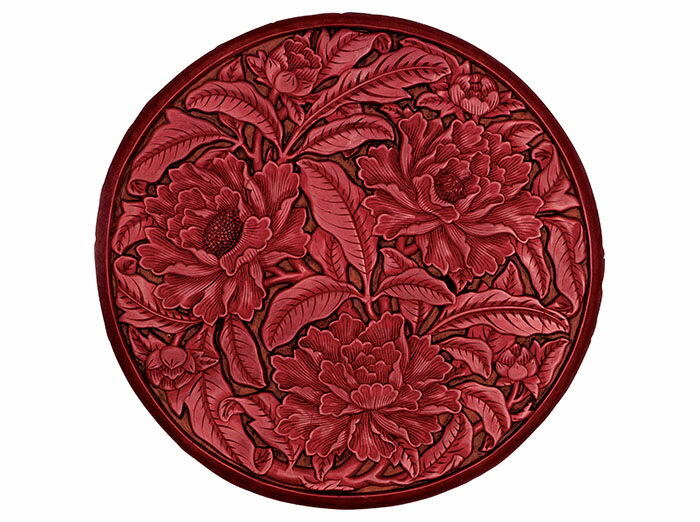 A red plate with peony patterns of the Ming Dynasty (1368-1644), housed in the Palace Museum.